Locaux30IN30 30IN30 | Victoria Baylor | Locaux! Yes, life teaching many lessons; one paramount on being patience. Patience can be excruciating at points. However, it’ rewarding, leaving you with a profound appreciation once you arrive where you are destined. In this episode Victoria Baylor shares how it took a few decades to arrive at her ‘purpose work’. She’s on a mission to assist you, the professional woman, with your personal brand. An International Teacher, Author, Consultant, and Coach. Victoria is passionate about helping professional Women identify their Personal Brand Genius and leverage it to obtain professional and personal success. She is a Certificated Personal Branding Strategist, Genius Cultivator, and Transformation coach. Her love for helping women develop and leverage their talents intersects with her analytical ability that was honed through acquiring a degree In Marine Science and working in the field Microbial ecology research for 15 years. Being a dually talented intellectual and creative Being, Victoria also launched her own Custom Sewing business alongside her research career. She specialized in wedding and prom gowns as well as ballet costumes for 14 years. Serving as an Image Professional then, Victoria quickly noticed the struggle most women faced trying to find clothing that defined and accentuated them. She saw how this struggle negatively impacted their confidence and wanted to do something to resolve it. 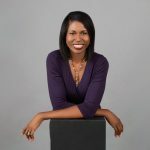 It wasn’t until her transition to full-time entrepreneurship and her own image struggle that she understood the root issue was a lack of personal branding and set out to solve it. As a result, Victoria launched her own Personal Branding Firm and uses her image expertise, unique analytical approach and specialized image, color & branding training to help Professionals polish and sharpen their personal brand. 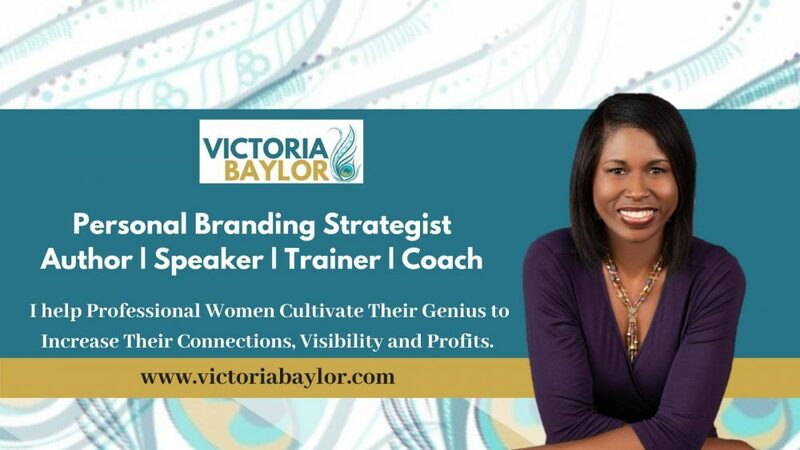 Victoria offers one-on-one services, group coaching, creative seminars, workshops, corporate training courses and webinars centered around cultivating a professional appearance, behavior and communication skills, and digital footprint. She also focuses on the areas of Personal brand message development, soft skills management and cultivating emotional intelligence. Affectionately known as a “Genius Cultivator” Victoria works with Business Professionals and Entrepreneurs to help them identify their vision, passion, and inner genius. Her mission is to challenge them to uniquely see themselves, to confidently embrace that uniqueness and leverage it to make a huge impact in their businesses and the world. Victoria has been featured in the Chatham County Living magazine and South Magazine. She has done numerous radio interviews, workshops, and seminars. She is a nationally and internationally recognized BurdaStyle Instructor. She is the Co-Leader for the Empowering a Billion Women (EBW2020) Savannah Chapter and an Ambassador for the Pooler Chamber of Commerce. She is active in her church and community. She is most importantly the proud wife of Jimmy Baylor and Mom to 11-year-old daughter, Reilly. Thanks for listening. We’ll see you around. Tune in to hear stories of other fab women on the episodes page. And while you’re there, subscribe to get the latest podcast. We’re celebrating the stories of phenomenally unconventional single women entrepreneurs who have followed a strong pull to upsticks from their country of origin, unearth a patch of land and plants seeds where their soul feels most at home. Get Locaux!Share your story here. 30IN30 | Dr. Erin Jacobs Stagner, D.C.